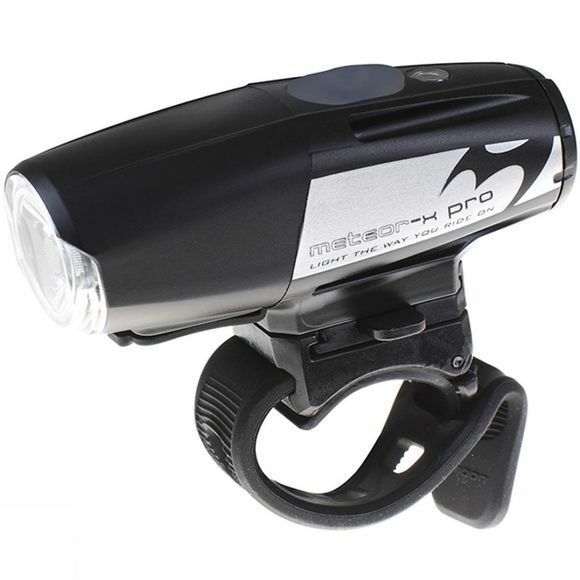 The Meteor Auto X front light can generate up to 700 lumens of light, to help keep you safe and seen in low light conditions. It features 1 Cree XML L2 LED mounted on a copper coated circuit board to help manage temperature and aid performance and also comes equipped with a CNC heat sink to help disperse heat away from the light. The Meteor Auto X has numerous different modes and with a memory function it will return to its previously selected mode on power up. It also comes with an integrated light sensor allowing you to set it to auto mode, meaning that the light will turn on and off automatically in relation to the surrounding light conditions.